At Innsbrook, we've centered our development around two of life's most constant things: nature and family. With all-season and vacation/second homes, recreational A-frame chalets, resort-style condominiums, low-maintenance villas and luxury cottages, you can choose a home tailor-made to your desires. 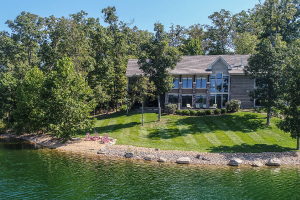 Your piece of paradise can be perched lakeside, overlooking the golf course, nestled in the woods or situated in the meadows. 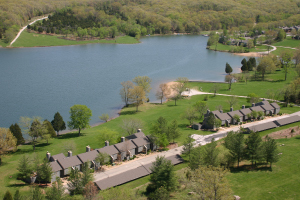 Your perfect getaway is here at Innsbrook. Our A-frames, commonly referred to as chalets, are for recreational use, not primary residence. 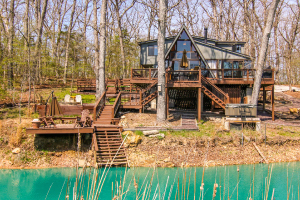 A unique design feature is its wall of windows, which creates treehouse views of the woods or lake. Our cottages can be primary or secondary residences for year-round living. With the Tyrolean nature trail, Historic Log Cabin and 236-acre Lake Alpine nearby, there is plenty to explore. 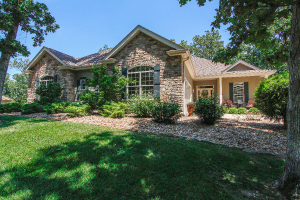 The Eagle Bend Villas overlook the Innsbrook golf course. 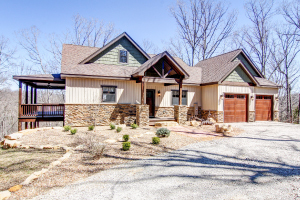 These villas offer a very low-maintenance environment, with your landscaping and lawn maintenance provided by Innsbrook.